The majority of people and groups who use the name Quaker today have little or nothing in common with the early Society of Friends (1650-1800). Though they may use some of the same terminology, modern Quakers mostly fit into one of two categories: 1) One faction preaches and follows a false light (a light other than the Holy Spirit of Jesus Christ leading them out of sin, darkness, death, and enmity with God). Though this group is often involved in social justice and philanthropic causes, their religion is a mishmash of New Age, man-centered ideas, with little or no regard for Scripture, Christian doctrine, truth, sanctification, etc. 2) Others who use the name Quaker, in their (understandable) attempt to distance themselves from the aforementioned errors, have reverted to more traditional, reformed principles and practices. This offshoot, though certainly more respectable than the other, has sadly let go of many of the essential and substantial realities that God restored to His church through the early Society of Friends. An eBook Reader is either a specific handheld device (like a Kindle, Nook, Kobo, etc.) that is used to read electronic versions of books, newspapers, or magazines, OR it can simply be an app on any smartphone or tablet that is used for the same purpose. Don't worry if you don't have a specific eReader device; just visit your app store (for whatever smartphone or tablet you may have) and download any of the FREE eBook Reader apps that are available, such as the iBooks App, Kindle App, Nook App, Aldiko Book Reader App, etc. Using an eBook Reader has the advantage over reading a PDF file in that you can adjust the size, font, or spacing of the text, as well as highlight portions, add notes, and more. But if you plan to read these publications on your computer screen, or desire to print them, then the PDF file is probably the best choice. Isaac Penington (1616-1679) was one of the most prolific and gifted writers among the early Quakers. Though born into a family of wealth and reputation, Penington's heart was set upon heavenly things from his earliest days. Even as a child, he recognized that the religion of his day stood in the will and understanding of man, in outward practices, duties, and scriptural truths that were professed but not truly possessed. His hunger and desperation for the true knowledge and experience of God was the hallmark of his life, and led him to a Christianity that stood in the light and life of Jesus Christ reigning in the inner man. 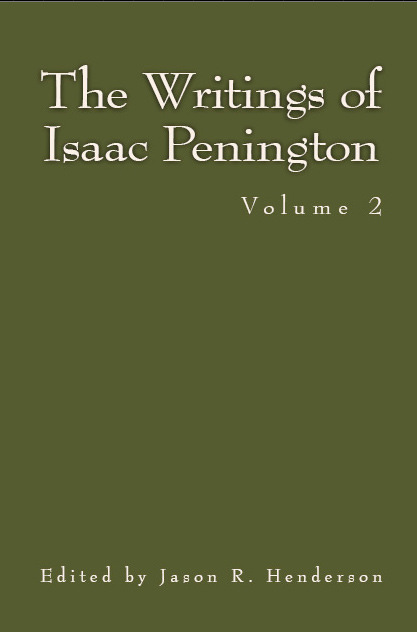 These two publications entitled The Writings of Isaac Penington are a carefully edited, modernized, and annotated edition of his complete works. "Behold, You desire truth in the inward parts, and in the hidden part You will make me to know wisdom." —Psalm 51:6. This book contains the stories of ten men and women who knew the transforming work of Truth in the inner parts. Amidst a sea of Christian practice and profession, these believers would settle for nothing less than the light, power, and righteousness of Christ reigning in their purified vessels. They not only found the Pearl of great price by His own inward appearing, but they then sold all to buy this treasure, counting all things loss for the excellence of the knowledge of Christ Jesus their Lord. Robert Barclay (1648–1690) was a Scottish Quaker, and one of the most eminent writers in the Society of Friends. 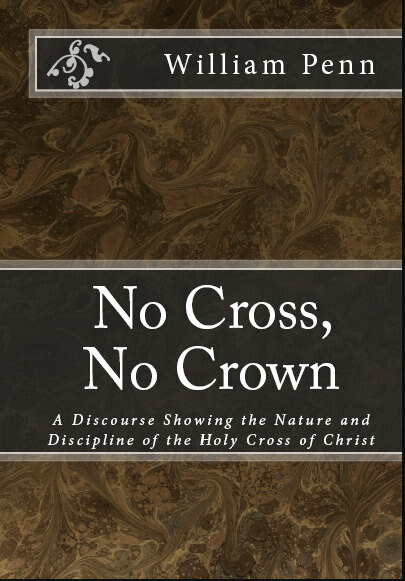 His Apology for the True Christian Divinity is perhaps the most well-known of all Quaker writings, containing a thorough explanation and defense of most of their principles and doctrines. 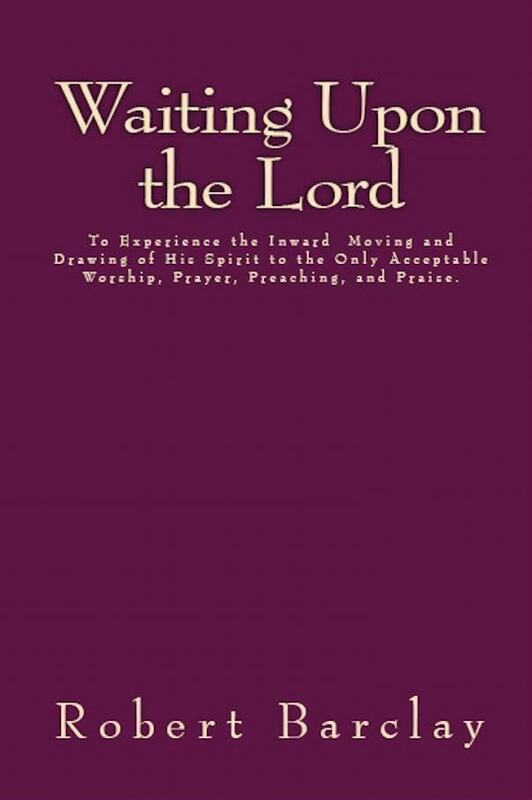 The book entitled Waiting Upon the Lord is taken from the eleventh proposition of his Apology. 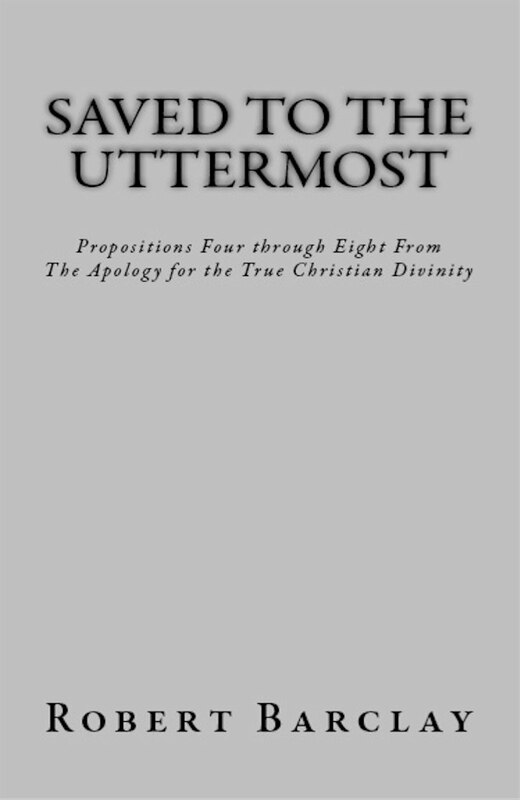 The book entitled Saved to the Uttermost is taken from propositions four through eight of the same publication. Though a shoe maker by trade, Joseph Phipps (1708–1787) was the author of several scholarly publications explaining and defending the tenets of Early Friends. 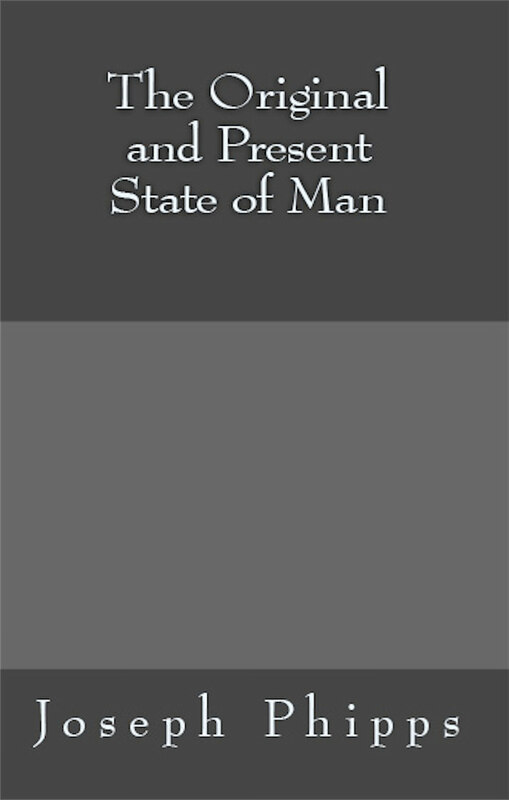 In 1772, in response to a critical publication by one Samuel Newton, Phipps wrote The Original and Present State of Man, in which he cleared the Society from many unjust and untrue charges, and also clarified the leading principles and practices of the Quakers. This book deals with "The nature of man's fall, and the necessity, means, and manner of his restoration through the sacrifice of Christ, and the sensible operation of that Divine Spirit of grace and truth." William Penn (1644–1718), best known as the founder of the Province of Pennsylvania, was a man courted for his talents and accomplishments, admired for his genius intellect, and beloved for his amiable and humble disposition. He was born into a family of wealth and prominence, educated in the finest schools in London, and as a young man had the road to honor and preferment opened wide before him. But, having tasted something of the true power and purity of Christ in a meeting of the despised people called Quakers, he relinquished his prospects of honor and advantage, renounced the patterns and customs of the world, and lived a life of self-denial as a meek follower of Jesus Christ. William Shewen (1631–1695) was an early member of the Society of Friends who lived in London. He does not appear to have been a traveling minister in the society, but was nonetheless a man known for his deep experience and understanding of the work of God in the inner man. This publication, Meditations and Experiences, is a collection of paragraphs and short treatises, penned throughout Shewen's life, describing his own experience of the heart-transforming power of Jesus Christ. Francis Howgill (1618-1669), received a university education to become a minister in the Episcopal church. However, being dissatisfied with the superstition which he saw remaining in it, he soon left it, joining himself to the Independents, and then to the Anabaptists, desperately seeking the true spiritual life that his soul thirsted after. At length, being mightily affected by the ministry of George Fox, he joined the persecuted society called Quakers, among whom he became a widely respected member and evangelist. He died in prison for his testimony to the truth, leaving behind many influential books and letters. James Nayler (1616-1660) was a prominent leader and gifted minister in the early Society of Friends in England. Though a farmer by trade, and a man of limited education, his deep spiritual understanding, piercing discernment, and powerful communication of the gospel caused multitudes to acknowledge that he preached in the demonstration of the Spirit and power, as one having authority, and not as the scribes. Sadly, he is best known for a single (and much regretted) act of folly committed in a time of weakness and temptation, when, “because of the abundance of revelation” and the unchecked flattery of a few imprudent admirers, he accepted greater praise than is due to any man. Samuel Rundell (1762 - 1848) was by trade a wool-dealer who lived in Liskeard, a small town in southwest England. As a young man he was recognized as a minister in the Society of Friends (Quakers), of which he was a member. Throughout his life he was particularly concerned to press the necessity of a real and living experience of inward purification by an unreserved obedience to the light or Spirit of Christ working in the heart. Having witnessed its effectual operation in his own soul, he greatly desired to see this scriptural doctrine both upheld amongst his fellow Quakers and more widely known among sincere Christians of every denomination. The journals and writings below were found in public domain, copied from PDFs of original publications, corrected, re-formatted, and made available by MSF in a variety of digital formats. Language and spelling have been somewhat modernized in these documents. See our note on modernization. We understand and respect the opinion of those who oppose the editing of early Quaker writings, saying rightly that these were native English speakers, and knew well how to speak for themselves. Even so, we have found very few today who have been able or willing to wade through the original publications (a task we nevertheless highly recommend), and we doubt very much that ancient Friends would have desired their style or vocabulary to be a stumbling block in the way of the modern reader. We do not make these documents available for the historian, the purist, or the theologian, but for the present day seeker of Truth. James Parnell (1637-1656) is said to have been “young, small of stature, and poor in appearance,” but thousands were made to confess that “he spoke as one having authority, and not as the scribes.” He was convinced of the Truth when only fourteen years of age, and became a mighty preacher and promoter of the gospel by sixteen. Following a debate with a prominent priest, Parnell was arrested on spurious charges of being an “idle and disorderly person,” and imprisoned at Colchester Castle. There he was confined to a small hole in the thick castle wall, twelve feet above the ground. He died from sickness and ill-treatment after ten months imprisonment at the young age of nineteen. Isaac Penington (1616-1679) was one of the most prolific and gifted writers among the early Quakers. Though born into a family of wealth and reputation, Penington's heart was set upon heavenly things from his earliest days. Even as a child, he recognized that the religion of his day stood in the will and understanding of man, in outward practices, duties, and scriptural truths that were professed but not truly possessed. His hunger and desperation for the true knowledge and experience of God was the hallmark of his life, and led him to a Christianity that stood in the light and life of Jesus Christ reigning in the inner man. The four publications here are the unabridged works Isaac Penington. These have not been edited, with the exception of some modernization of archaic words and spellings. William Dewsbury (1621-1688) was an eminent minister and elder in the early Society of Friends whose role in the formation and oversight of the Society was comparable to that of George Fox. Like Paul the apostle, the gospel that Dewsbury preached was not according to man, neither did he receive it from man, but rather through the revelation of Jesus Christ; nor was his preaching with persuasive words of human wisdom, but in demonstration of the Spirit and of power. His care for the church, and influence in the lives and hearts of thousands, continued even while imprisoned for nineteen years. After visiting William Dewsbury in 1676, John Whiting described him as "an extraordinary man in many ways, and I thought, as exact a pattern of a perfect man as I ever knew." Robert Barclay (1648–1690) was a Scottish Quaker, and one of the most eminent writers in the Society of Friends. His Apology for the True Christian Divinity is perhaps the most well-known of all Quaker writings, containing a thorough explanation and defense of most of their principles and doctrines. The eBook edition provided here is unabridged, but some archaic words and spellings have been modernized by Market Street Fellowship. John Burnyeat (1631-1690) was one of the early elders and pillars in the Society of Friends, whose powerful ministry turned many thousands from darkness to light, and from the power of Satan to the power of God. He labored tirelessly and traveled extensively in the service of Truth, often suffering greatly for His faithfulness to Jesus Christ. Truly it can be said of John Burnyeat that he followed the Lord fully in his generation, putting his hand to the plow and never looking back. George Fox (1624-1691) is generally considered the founder of the Society of Friends (Quakers). As a young man, Fox could find no rest in the lifeless, outward Christianity of his day, seeing that most believers professed far more than they actually possessed. This journal tells the story of his desperate search for truth, his discovery of a Christianity that stands in the life and light of Jesus Christ, and the ensuing fifty years of powerful ministry that turned the world upside down. There are two unabridged editions of Fox's journal on this site. One is Wilson Armistead's 1852 edition, which is divided into chapters and has many interesting and valuable footnotes. The other is a recent edition which has been more modernized in spelling and language. Stephen Crisp (1628-1692) was another whose desperate search for Truth (lasting twenty long years) at last brought him to an experiential knowledge of the grace and truth that are in Jesus Christ. Having found the Pearl of great price, he sold all to buy it, and soon was made an eminent minister among the early Society of Friends, laboring for the next thirty-five years in the power and wisdom of the Spirit throughout England, Scotland, Holland, and Germany. Catherine Evans (1618-1692) & Sarah Cheevers (1608-1664) were early ministers in the Society of Friends who embarked together on a missionary journey, intending for Alexandria, Egypt. After enduring several storms, their ship stopped at Malta, an island then under the control of the Catholic Church. Evans and Cheevers were arrested on the island for preaching and handing out spiritual literature, and placed under house arrest. After three months, they were moved to a local prison where they endured nearly four years of cruel treatment at the hands of the Inquisition in attempting to force their conversion to Catholicism. Charles Marshall (1637-1698) was convinced of the Truth at age seventeen by the powerful ministry of John Audland and John Camm, and eventually became a worthy minister and elder himself in the early Society of Friends. This short but instructive journal describes Marshall's progressive experience of the light of Jesus Christ, both as his judge and teacher, together with the several snares and temptations of the enemy that he met with along the way. Like many other early Quakers, John Crook (1617-1699) was a seeker of truth from his earliest days. He was educated in London, and for a time held the office of Justice of the Peace in Bedfordshire, but when he was convinced of the truth in 1654 by the preaching of William Dewsbury, he soon lost both his public office and his freedom. In all, John Crook was imprisoned ten times for his faith, and suffered greatly at "the hands of unreasonable men." In this document, Crook relates his early searching after God, his convincement of and growth in the truth, and some of his ministerial labors in the early Society of Friends. A fuller collection of his writings and letters can be found in the Friends Library, vol. 13. Samuel Crisp (1670—1704) was a brilliant young priest in the Church of England who's hunger for truth and righteousness led him to leave off all formal, shadowy religion and join with the despised people called Quakers who worshipped God in spirit and truth. This short document (approx. 20 pages) consists chiefly of two letters written by Crisp explaining his reasons for leaving the national worship, and describing the true light and life he enjoyed among the Society of Friends. Ambrose Rigge (1635-1705) was early convinced of the truth through the preaching of George Fox, and grew to be a powerful minister of the gospel, a faithful elder, and a great sufferer for the cause of Christ. In one of his letters, he writes, "I have been in eleven prisons in this county, one of which held me ten years, four months and upward, besides twice premunired, and once publicly lashed, and many other sufferings too long to relate here." Yet through all he kept the faith, and served the Lord's body even while in bonds, through letters and papers given to encourage and establish the flock. Ambrose Rigge was one of many in his generation who sold all to buy the Pearl of great price, and having found true treasure, he kept it till the end. Elizabeth Stirredge (1634-1706) was not a traveling minister in the Society of Friends. She was a wife, a mother, and an extraordinary woman of God. This short but remarkable account of her life was written in the 56th year of her age for the benefit of her children and grandchildren. In it she describes her desperate search for the Lord in her younger days, her discovery of Truth, and some of the trials, persecutions, and joys she met with as she took up the daily cross and faithfully followed Christ. 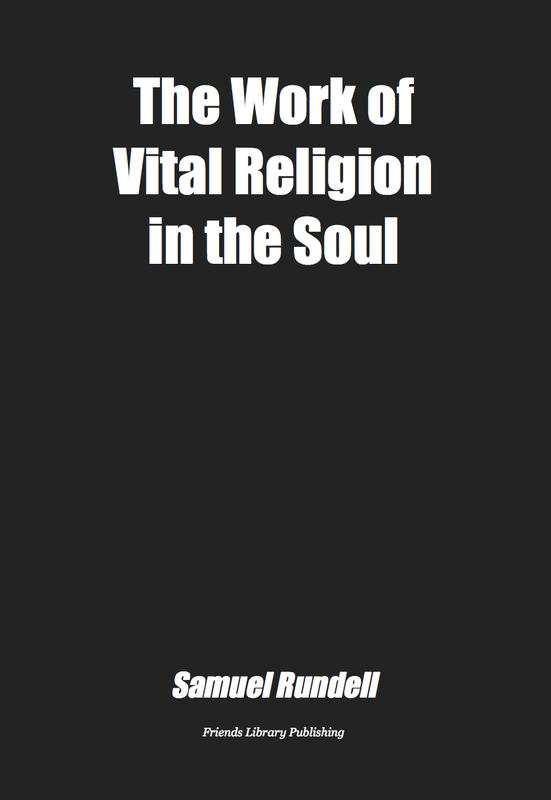 The first document provided here is an excerpt from her writings focusing on her early years and spiritual growth. The second document is her unabridged life story taken from Friend's Library vol. 2. Richard Davies (1635–1708) was another who desperately sought after Truth from his earliest days, and became the first Welshmen to be convinced of the principles preached by the Early Quakers. Through many hardships (beatings, mockings, long imprisonments, etc.) he grew up in the Lord and became a eminent minister in the Society of Friends, being so filled with the Lord's humility and love that even his enemies respected and admired him. William Edmundson (1627—1712) is generally considered the founder of the Society of Friends in Ireland. He was convinced of the truth as a young man, and spent over 50 years traveling and suffering for it. The journal of his life is an incredible testimony to the power of God working through a surrendered vessel. Thomas Ellwood (1639-1714) was a beloved elder and an eminent writer in the early Society of Friends. When a young man, his father took great offense at his joining in society with the despised people called Quakers, and frequently beat him with both fists and cane. At length, Ellwood found refuge in the home of Isaac and Mary Penington, where he came to be considered a member of their family, and eventually served as tutor to the Penington's young children. Thomas Ellwood is best known among Friends for his many publications in defense of the Truth, and for being the editor of George Fox's journal. William Sewel (1653-1720), being a Quaker himself, and an eye-witness to many of the events described in this history, is considered by all to be the foremost authority on the early history of the Society of Friends. This lengthy (but truly remarkable) work was first published in Dutch in 1717, and then translated by Sewel into English and printed in 1722. The original publication consisted of twelve volumes, but was reprinted (with slightly modernized spelling and punctuation) in 1832 in two large volumes. There are two versions of this publication on this website. One is an unabridged and unchanged 1832 edition, with all the archaic spellings and vocabulary. The other is also unabridged, but archaic spellings and vocabulary have been somewhat modernized to aid the modern reader. George Whitehead (1636-1723) was one of the most influential of the early Quakers. He was convinced of the Truth when only 17 years old, and grew quickly in the life and power of the gospel. Though publicly whipped, imprisoned multiple times, frequently abused and persecuted, he kept close to the cross, and came to be a pillar and elder in the church of God, constantly laboring for the advancement of Truth and the welfare of the Society. Thomas Wilson (1654-1725) was another remarkable minister in the early Society of Friends, whose dedicated life manifested the "sweet savor of the knowledge of Christ in every place." As a child, he gave up to follow the Lord out of the vanities of the world, and abiding faithfully under the cross, experienced its power "bringing forth judgment unto victory." He became a powerful minister of the gospel (often the traveling companion of James Dickenson, whose journal is also available on this site), with preaching that both pierced the hearts of the humble and confounded the minds of adversaries. His godly example in life, great humility, and self-denial greatly adorned his ministry, and he was made a tender shepherd over the flock of Christ in England, Ireland, Scotland, and America. Elizabeth Webb (1663-1726) was a respected minister in the Society of Friends who travelled extensively in her service for the gospel. In 1712 she went from Pennsylvania to Great Britain to visit Friends, and while in London became acquainted with Anthony William Boehm, who was then chaplain to Prince George of Denmark. At some point after their meeting, Elizabeth Webb felt constrained in the love of God to write to Boehm and present him with this remarkable letter as something of a summary of her spiritual pilgrimage. Joseph Pike (1657-1729) was a valuable elder and minister in the Society of Friends. He was born in the year 1657, near Cork, in Ireland. In his old age he wrote an account of his early years and growth in the truth, chiefly for the benefit of his own children. This short but valuable account describes how he was first confronted and convinced of the Truth by the Lord, and then how he became progressively more familiar with, and obedient to, the light, life, and power of Christ working within. Deborah Bell (1689-1738) was called to preach the everlasting gospel when only nineteen years old, and being faithful in little, she ​grew​ greatly​ in ​the ​knowledge​ and experience​ of God​. In a short time, she became an able minister ​in the church of Jesus Christ, much to the comfort and edification of the ​places she visited. Many who were unacquainted with the work of the blessed Truth in themselves, were reached​ and awakened​ by her powerful and liv​ing​ ministry​.​ She labored faithfully in word and doctrine,​ visiting many of the meetings of Friends in most parts of England, Wales, Scotland, and was twice in Ireland​. James Dickenson (1659-1741) was a well-known and much-beloved minister in the Society of Friends, whose long life was spent in tireless labor for the edification of the church and for the good of souls. In the service of the ministry, he travelled throughout England, Ireland, and Scotland; undergoing ​many ​sufferings in times of persecution. He visited Friends in Ireland twelve times, three times in America, once in Holland and ​also in ​Germany.​ ​His ministry was not in the enticing words which man's wisdom teaches, but in the demonstration of the Spirit and power, and was effectual to the convincing and gathering of many, whose hearts were settled on the Rock Christ Jesus, knowing Him to be their true light and teacher. Thomas Story (1662-1742) was an extremely gifted and serviceable minister in the Society of Friends, traveling all over England, Ireland, Scotland, Holland, Jamaica, Barbados, and the American colonies. He was known for both his spiritual depth and his intellectual genius, and his writings became very influential among Quakers. John Fothergill (1676-1745) was a true minister of the gospel of Jesus Christ, made so by the Spirit of God, and not by the wisdom or will of man. As a young man, he took the yoke of his Master upon himself, learned to bear it faithfully, and so experientially knew what it was to be "be judged according to men in the flesh, but live according to God in the Spirit" (1 Pet. 4:6). Constrained by the love of Christ, his life was poured out in the service of the gospel, traveling all over England, Scotland, Wales, Ireland, on several occasions, and crossing the seas three times to visit the colonies in America. John Fothergill was the father of Samuel Fothergill (the well-known Quaker minister) and Dr. John Fothergill, the famous doctor and botanist. John Richardson (1667–1753) was a humble but powerful minister in the early Society of Friends, who traveled tirelessly in his promotion of the gospel. His journal tells the amazing story of a life entirely submitted to and dependent upon the light and power of Jesus Christ. The first document below is an excerpt from his lengthy journal relating his early years, spiritual growth, and call to ministry. The second document is the unabridged journal. Mary Neale (1717-1757), dying only three days after her marriage to Samuel Neale, is best known by her maiden name, Mary Peisley. Having been early turned from the pursuit of worldly pleasures and vanity by the inward appearing of the Lord Jesus, Mary Neale surrendered all to the cross of Christ and was made by Him a shining example of a true gospel minister. Of her life, James Gough (another minister in the Society of Friends) wrote, "I am ready to conclude that none in our day, from the time of the effectual visitation of Christ in her soul, adhered with more steadiness to His guidance, through a variety of probations." Samuel Fothergill (1715-1772) was the youngest son of eminent Quaker minister, John Fothergill. As a young man, Samuel yielded to various temptations, "giving way to the indulgence of his evil passions, and abandoning himself to the pursuit of folly and dissipation." So great was his rebellion against the Truth, that his father, upon embarking on a long trip to America, took leave of him with these words: "And now, son Samuel, farewell!—farewell! ; and unless it be as a changed man, I cannot say that I have any wish ever to see you again." These words pierced Samuel's heart, and were used of the Lord as a means to turn him to the path of repentance and conversion. Feeling the terrors of the Lord for sin, Samuel was made willing to abide under His righteous judgments, and so yielded to the transforming power of divine grace that, in time, he became one of the most distinguished and influential ministers of his day. John Woolman (1720-1772) is one of the most well known Quakers of the 1700's because of his writings against slavery and other social evils. Unfortunately, many edited versions of his journal exist online and in print today which have removed many aspects of his Christian faith and experience, rendering him little more than a philanthropist and abolitionist. The truth is that John Woolman was a devoted servant of Jesus Christ, a preacher of truth and righteousness, and a man filled with the Spirit and love of God that overflowed towards his fellow creatures. 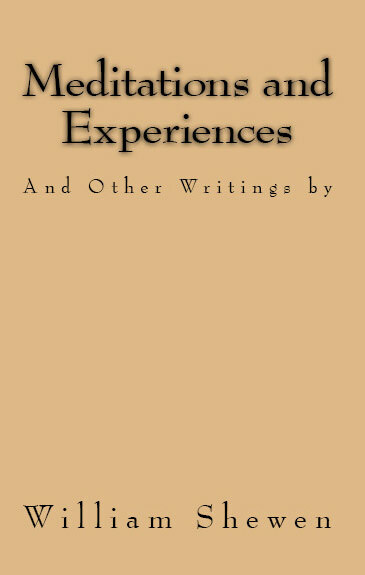 The document provided here contains his unabridged journal and works. John Churchman (1705-1775) was a man whose entire life was devoted to the increase of Christ's kingdom in the hearts of men. Having experienced the spiritual baptism which is essential to salvation, and abiding in a state of watchfulness and humility, he became (under the Lord's anointing) a well qualified instrument for the instruction and edification of others in the way of life and godliness. By attending to the gift of gospel ministry committed to his trust, and performing the duties required of him, he witnessed a growth from stature to stature, and became an upright elder and father in the church, being an example to all in word, in conduct, in spirit, in faith and ​in love. Joseph Oxley (1715–1776) was a humble and sweet-spirited minister in the Society of Friends, whose life and service in the church manifested a total reliance upon the immediate empowering of the Spirit of Christ. Though he had a low opinion of himself, he was highly regarded and respected by all, and his ministry was known to be accompanied by that heavenly power which both confutes the proud and raises up the humble. He was led to preach the gospel in England, Ireland, Scotland, and the American Colonies, where his services were said to have "proceeded from the influence of the Minister of the sanctuary and true tabernacle, which God has pitched and not man." John Griffith (1713-1776) was a powerful minister during a time when the light, life, and power of Christ was slowly declining among the Society of Friends. Together with a remnant of bright, shining lamps in his generation, Griffith warred against a sad degeneracy into formality, tradition, and lifeless words amongst a people once distinguished by their adherence to the inward power and purity of the Holy Spirit. This instructive portion of his lengthy journal deals with his conversion, spiritual growth, and call to the ministry. The full journal can be found in the Friends Library, vol. 5. David Ferris (1707-1779) was favored as a young child with a merciful visitation of the Lord whereby he was called out of the vanities of the world and enabled to see through the empty forms and superstitions of man-made religion. He was brought up a Presbyterian and educated in their way, but by attending to the inward teachings of divine grace, he became convinced of the principles of Friends (having no outward knowledge of their doctrines or practices), being clearly shown that the Lord was to be worshipped in spirit and truth by those who had been "judged according to men in the flesh, but live according to God in the Spirit." (1 Pet. 4:6). Being timid and diffident by nature, he resisted the Lord's call to ministry for many years, but at last gave up to preach the gospel as the Lord gave him utterance. As a boy, James Gough (1712-1780) was known for his genius intellect, having mastered the Greek and Latin tongues when still a young child. At one point, after conversing with young James, a distinguished Justice of the Peace so admired his propensity for learning that he offered to pay his way through university. But although such flattery sowed seeds of pride and vain conceit in James' young heart, it pleased the Lord to visit him in power and love, and he was prevailed upon to give up all to follow Christ. James Gough became a wise and well-beloved minister among the Society of Friends, but having learned to live low at the feet of His Master, he was always remarkable for his deep humility, and low opinion of himself. ​Sarah R. Grubb (1756-1790) was a woman of extraordinary natural abilities, strength of judgment, and clearness of discernment. Being favoured with a visitation of heavenly love in the morning of her day, she submitted to Christ's refining fire and was brought into that passive nothingness wherein the vessels in the Lord's house are formed and fitted for usefulness. Having been early prepared for service, she came forth in public ministry about the twenty-third year of her age, and continued a faithful and powerful minister of the gospel of Jesus Christ until her death in 1790, at only 34 years of age. At the age of twenty-two, Samuel Neale (1729-1792) was powerfully impacted by the ministry of Catharine Payton and Mary Peisley (his future wife) while they were ministering in the city of Dublin, Ireland. Having seen and felt that he was traveling on the broad path that leads to destruction, Samuel Neale set his heart to "wait upon the Lord in the way of His judgments." And becoming acquainted with the true baptism of Christ (that of Spirit and fire), he was called into the ministry, and spent much of his life traveling and ministering to the Lord's body. Job Scott (1751-1793) was a gifted and well-beloved minister in the Society of Friends in America. He was known for his total dependence upon the immediate moving and empowering of the Holy Spirit, and his unwillingness to minister without a clear sense of the Lord's will. On occasions, while preaching, he would suddenly stop speaking and sit down, explaining later that, having lost a sense of the authority and direction of the Spirit of God, he could do nothing without it. The writings in his journal are weighty and living, and have no doubt comforted and helped many weary travelers on the road to Zion. Job Scott died of Smallpox on a ministry trip to Ireland in 1793. Catherine Phillips (1727-1794 — better known by her maiden name, Catherine Payton) was a highly gifted minister in the Society of Friends, who traveled almost continually for forty years in the service of Truth throughout England, Ireland, and North America. Her journal and letters clearly evince a life entirely surrendered to the cross of Christ, a mind supplied with wisdom and utterance from on high, and a heart filled with love for God and for mankind. Though raised in the Church of England, John Spalding's (1765-1795) pursuit of truth left him disstaisfied with the traditional worship of his day, concluding that, in many respects, it was neither pleasing to God nor effective towards the salvation of his soul. After at last finding the Pearl of great price, he composed a public letter to beloved friends and family attending St. Giles church in Reading, entitleing it: "A Few Reasons for Leaving the National Established Mode of Worship: Addressed to the professors of religion in this day, by one who was long in the profession, but knew not the power, till it pleased the Lord, by the ministry and writings of the people called Quakers, to direct him to where alone the power is to be known, that is, within." The ​​simplicity, meekness and diffidence​ of John Pemberton (1727-1795)​, united with an ardent love for his fellow creatures​ and a desire for their everlasting welfare​, made him a eminent and much-beloved minister in the Society of Friends. ​​​An abiding sense of the Divine presence seemed to cover his spirit; and though his ​j​ournal may not be so replete as some others with incidents calculated to strike the mind by their novelty; yet the reader may find himself amply repaid for the perusal in tracing the footsteps of one much weaned from the spirit and​ ways of the world, anxiously endeavouring to perform his day's work in the day time, and looking for acceptance, not to any merits of his own, but in living faith, to the mercy of God in Christ Jesus our Lord, with the heartfelt acknowledgment that he was but an unprofitable servant, having done no more than was his duty to do. The story of Jane Pearson (1735–1816) is both heartbreaking and deeply inspiring. Her life was fraught with inward and outward sorrows beyond description. For fourteen years she wrestled with a host of inward enemies as she sought to know and be conformed to the Beloved of her soul. And when at last she saw a measure of peace and stability in the Truth, she was then made to suffer the loss of her dear husband and seven children to a variety of illnesses. But the more she lost of the world, the more she seemed to gain of Christ, and her experiences of His closeness and kindness to her are indescribably beautiful. Martha Routh (1743-1817) was working as the head of a Friend's boarding school in Nottingham, England when, at age of 30, she was called into the ministry. The remaining 44 years of her life were devoted to traveling and preaching the gospel throughout all parts of England, Wales, Scotland, Ireland, and America. Her first trip to America was in 1794, where she labored for over three years, traveling over 11,000 miles, before returning to her native country. She returned to America in 1801 with her husband (who died shortly after arrival in New York). Martha Routh's life was exemplary in every respect, and her preaching was "in demonstration of the Spirit and of power." David Sands (1745-1816) was an active and influential minister in the Society of Friends at a time when the minds of many Friends had been corrupted from the original simplicity and purity of the gospel. Originally from Long Island, Sands labored extensively throughout New England, and also made a trip to Europe where he preached the gospel in England, Ireland, France, Germany, and several other parts of the continent. His life was fraught with many deep conflicts, difficulties, and opposition, but he remained a faithful and solid elder in the midst of a much deteriorated Society. Words fail to describe the beautiful life and heart-tendering ministry of Rebecca Jones (1739-1818). When still a child, her eyes were opened to see the "ancient path" through the powerful preaching of Catherine Payton; and persevering in it all the days of her long and fruitful life, she was made a "vessel for honor, sanctified and useful to the Master, prepared for every good work." Her diary and letters are both endearing and instructive, telling the story of a meek disciple, a powerful preacher, a tireless minister, a loving "mother in Israel", and an shining example of innocence, love, humility, and faithfulness to the Lord Jesus Christ. Mary Dudley (1750-1823) was a seeker of truth and righteousness from her earliest days. When around 20 years old, she joined the Methodists for two or three years, and was much esteemed by John Wesley for her humble devotion and pious example. She soon found, however, that their active and outward zeal was not compatible with the spiritual poverty she felt in herself, and the great need she had seen for total dependence upon the Spirit of God for all true worship and ministry. Finding a home among the Quakers, she grew to become a powerful minister and a "mother in Israel", pointing many to the covenant of light and life in Jesus Christ. Until his mid 30's, John Conran (1739-1827) was a faithful and zealous member of the Church of England, but longing for true inward purity and transformation of soul, he attended a meeting of the Society of Friends where he was powerfully confronted by the Spirit of God. Having seen his true condition, and been somewhat awakened to Christ's baptism of the Holy Spirit and fire, he "denied himself, picked up his cross, and followed Christ", and so was made vessel of honor in the Lord's house. His struggles were many and painful, both with the enemies of his own soul, and with the declining condition of the Society of Friends. But John Conran kept the faith, and finished his race as monument to the transforming power of grace. ​Henry Hull (1765-1834) loved the Lord from a young age, and was desirous to serve Him, but being diffident and shy by nature, was unwilling to give up to a call to the ministry until a voice sounded in the ear of his understanding, saying, "You are in great danger of being lost in your rebellion." At that moment, Henry put his hand to the plow and never looked back, saying, "Lord, do what You will with me, come life or death, I will give up all for Your sake." He travelled much in the ministry in different parts of the United States and Canada, and also crossed the Atlantic to visit the churches of God in Ireland and England. While in England, he met with the severe trial of receiving a letter informing him of the death of his wife, son, and mother, all by a malignant fever that had spread through his native land. Though deeply grieved by this heavy affliction, he was nevertheless enabled to say, "Though He slay me, yet I will trust in Him. It is the Lord, let Him do what seems good to Him." John Barclay (1797-1838), though a descendent of the well-known Barclay family, was a complete stranger to the life and power of Truth until he began to seek the Lord with all his heart, somewhere around his 18th year. The Society of Friends at that time was in a sad and declining state, but John Barclay dug deep and found the Root of life from which early Quakers had sprouted, and became a living branch himself, and a very useful minister. He lived only 41 years, but his short life was wholly dedicated to his Master's cause, and many of the journals, memoirs, and biographies of Early Friends are the fruit of his arduous and faithful labor with the original documents. The life of Daniel Wheeler (1771-1840) is a monument to the heart purifying power of gospel of Jesus Christ. Left an orphan at a very young age, Wheeler was placed by friend of the family as an apprentice on a sailing vessel where, along with learning sailing and navigation, he became acquainted with every form of vice and immorality. After six years in the navy, he joined the army until his 26th year, at which time the Lord made use of a hurricane at sea to awaken him to his lost condition. Being mercifully enabled to repent, and also to see the entire spirituality of the Gospel dispensation, he soon left the army and joined the Society of Friends in London. His growth in grace was quick and steady, and after some years he became a minister of great esteem, and was eventually led by the Lord to preach the gospel of Christ in a multitude of islands in the South Pacific Ocean. Christopher Healy (1773-1851) joined the Society of Friends when 19 years old, and being faithful in the "day of small things", grew strong in the grace of God and in the knowledge of Jesus Christ. He became an eminent minister of the gospel during the sad time of declension and division in the mid 1800's. When many nominal Quakers were departing to the right and to the left, Christopher Healy was among the few who kept to the ancient path and "contended earnestly for the faith which was once for all delivered to the saints." William Evans (1787-1867) was one of the last truly living and weighty ministers amidst a greatly divided and quickly vanishing Society of Friends. His journal is remarkable for its deeply personal style, and its extremely helpful and instructive comments on Scripture, the church, the operation of grace in the soul, ministry, and many other subjects. He witnessed and stood against the two unhappy divisions that greatly crippled the Society in the first half of the 19th century (the Hicksite and Gurneyite separations), contending earnestly for the faith which was once for all delivered to the saints. William and his brother Thomas were the editors and publishers of the Friends' Library as well as an updated version of Piety Promoted (both available on this site). Mary Ann Kelty (1789-1873) was a teacher and author in England who appears to have discovered the writings of early Friends later in her life. Though she plainly shows herself to be in perfect accord with the principles and practices of the primitive Quakers, she lived in a time of great declension form the original purity and power in the Society, and probably for that reason, never formally joined with them in membership (though she is said to have frequently attended the Friends' meeting house at Peckham). Her book "The Lives and Persecutions of the Primitive Quakers" is a very well-written, short history of the early Society of Friends, highlighting the most noteworthy figures and remarkable events of that time. Ann Branson (1808-1891) was one of the very last, true ministers (being prepared, called, and used of the Lord) in a greatly reduced and sadly degenerate Society. Her deepest cry to the Lord, from the days of her childhood, was that "His eye would not pity, nor His hand spare" till He had thoroughly cleansed her heart, and made her a useful vessel in His house. Humbling herself before God and men, she was exalted by the Lord as a powerful and prophetic minister, something of a "last of the Mohicans" among the Quakers, even while, all around her, the 200 year old lampstand of the Society of Friends slowly and tragically burned out. The full title of this work is: "Piety Promoted in a Collection of the Dying Sayings of Many of the People Called Quakers: With a Brief Account of Some of Their Labors in the Gospel, and Sufferings for the Same." These four volumes extend over a period of more than one hundred and seventy years, and contain concise accounts of the godly lives and remarkable deaths of above six hundred persons. Among these there is found a great variety in age, condition in life, station in the Church, and growth in spiritual knowledge and experience; but they all agree in a concurrent testimony to the blessed effects of Christ's reign in the soul, and to the consolation and support it furnishes on a dying bed. The Friend's Library is a collection of early Quaker journals, doctrinal treatises, and other writings, that span a period of nearly 200 years (roughly 1650 to 1840). This large collection of writings was compiled, edited, and published by William Evans and Thomas Evans between 1837 and 1850. Many of the early Quaker journals and writings available on the MSF website were copied from the Friend's Library and then modernized and edited. The unabridged and unedited versions can be found here (see the Table of Contents). Although these fourteen volumes are only available as PDF scans of the original printed books, they are nevertheless very readable documents, and can be used with any text-to-speech reader. * Check back soon, we will be adding other journals and publications. Who Were the Early Quakers? The birth of the Religious Society of Friends (called Quakers) is usually attributed to the preaching and ministry of George Fox (1624-1691) in England, and indeed, Fox was made a mighty instrument in the hand of the Lord for the turning of hearts and the opening of blind eyes to the true nature, light, and life of Christianity. But the incredible spiritual awakening and recovery of true Christianity that took place in the 17th century cannot be attributed to the work or teaching of any man. Truth be told, there were many thousands of believers at this time in history (from all persuasions and backgrounds) who had become disillusioned with the many man-centered and lifeless sects of Christendom, and who were crying out for the true light, life, and righteousness of Jesus Christ. Many were wandering from place to place, giving ear to pastors, priests, and scholars, and still groaning under the burden of inward pollution and spiritual darkness, longing for the living waters that were promised to His true disciples. Finding room in these hearts for His implanted Word, the Lord Himself raised up, gathered, and purified a people to worship Him in Spirit and Truth, to testify against all unrighteousness and idolatry, and to call the world back to the Christianity of the first Apostles, to the everlasting covenant of life and light in the Lord Jesus Christ. Not only George Fox, but hundreds of other ministers were raised up by the Lord and sent all over Europe, the American colonies, and elsewhere, preaching the true gospel in the demonstration of the Spirit and power. What did they preach? They preached true repentance from the dark and corrupt nature of man, and from all dead works of the flesh, "turning men from the darkness to the light and from the dominion of Satan to God." They preached Christ as the "Light of life," the "true Light that enlightens every man," apart from whom nobody can truly see, understanding, or experience the things of God's kingdom. Indeed, this spiritual light that "shines in the heart to give the Light of the knowledge of the glory of God in the face of Christ" is the only way that the true gospel can be distinguished from the dead opinions, notions, and traditions of men. They preached true freedom from sin and darkness, and an experienced victory over the law of sin and death that reigns in the natural, fleshly man. They were not content to sit down short of God's many promises to "cleanse the inside of the cup and dish," and to "purify the conscience from dead works to serve the living God." Instead they learned and took up the cross of Christ, which is the power of God to crucify and subdue the man of flesh and the power of sin and death that reigns in him. Faithfully they clung to the cross as a heavenly lifeline, knowing that Second Man could not reign in power and peace wherever the first man remained uncrucified. They preached Christ the living substance and fulfillment of all old covenant shadows and testimonies. And as Christ was revealed and formed in their hearts, they witnessed a worship in Spirit and truth in the new (inward) temple of God, and a ministry to the Lord's body that was the outworking of His indwelling life. 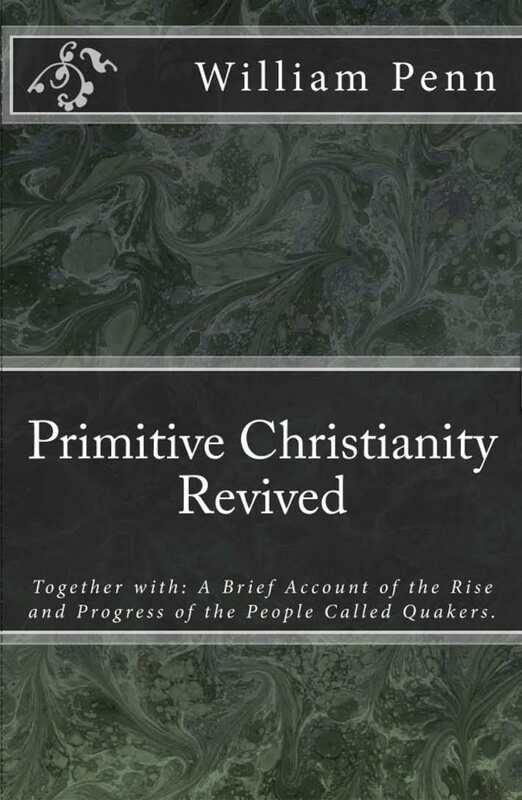 The early Quakers did not see themselves as a new Christian sect or denomination, but rather as a return to the primitive Christianity of the Apostles, after a long and dark night of "apostasy" from the true Spirit and glory of the new covenant. In fact, for a time, they had no formal name for themselves, and simply called each other "Friends" because of Jesus' words in the gospel of John, "You are My friends if you do whatever I command you. No longer do I call you servants, for a servant does not know what his master is doing." According to George Fox's journal, the name "Quaker" originated with a magistrate named Gervase Bennet. "This Bennet," says Fox, "was the first person that called us Quakers, because I bade them tremble at the Word of the Lord." Thus the name Quaker began as a way of ridiculing George Fox's admonition, but soon became widely known and used throughout the world, and was eventually accepted by the Society of Friends. 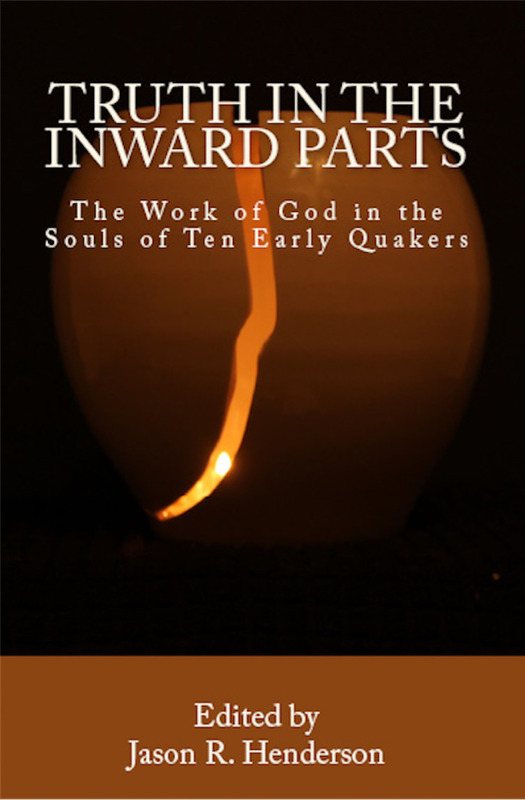 In our view, the work of the Lord in and through the original Quakers of the 17th century was indeed a return to the original life, light, power, and purity that the first Christians experienced and proclaimed to be the gospel of Jesus Christ. These men and women saw the Lord, grew up in His life, and like their Master, were hated, slandered, and persecuted for it. 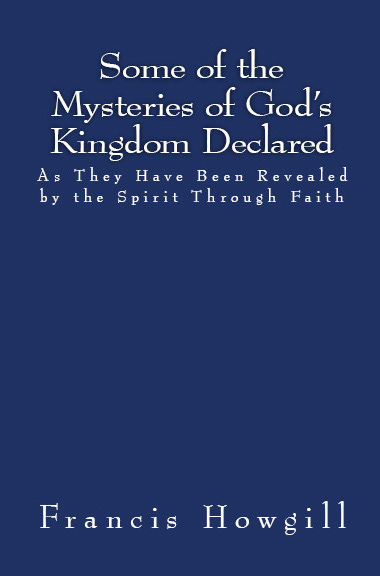 However, as is often the case with genuine movements of the Spirit of God, their teachings and practices were quickly misunderstood, corrupted, and grossly misrepresented by the succeeding generations of those who bore their name. Doctrines and traditions can be handed down from one generation to the next, but the life of Christ must be born in, and experienced by, each individual soul. So it is that the Quakers of today bear little or no spiritual resemblance to their forefathers. The life and light of Christ that once reigned in the hungry hearts of the 17th century has been almost entirely forsaken, and the Society of Friends today is barely a shell of what was once perhaps the greatest spiritual awakening since Pentecost. Even from the earliest days of their society, many of the principles and practices of the Quakers have been greatly misunderstood and misrepresented. And today there exists a whole host of strange and untrue opinions and interpretations of their history and theology. Before exploring the many journals and other writings of early Quakers provided on this website, it may prove helpful to read through the information below. The concept of spiritual light shining in the heart or conscience, is perhaps the most well-known principle of the Quakers. Sadly, very few today (even among those who still bear the name) understand or rightly represent what the first Friends taught about this essential subject. When early Quakers spoke of this light, they were not referring to anything that belongs to man by nature. Isaac Penington writes, "Man, by nature, is dead in trespasses and sins; quite dead, and his conscience is wholly dark. That which gives him the sense of his death and darkness must be another thing than his own nature, even the light of the Spirit of Christ shining in his dark heart and conscience." "Man is darkness, (Eph 5:8) and when Christ comes to redeem him, he finds him to be in darkness. Christ finds no light already in man to help him uncover sin. Thus all the discoveries of sin that are made in the heart are by the light of Christ, and not by any light of man's nature." In other words, natural man has absolutely no true light inherent in himself. There is nothing intrinsically good, true, or pure in man in his fallen condition. It is therefore not the conscience itself that is, or that possesses, divine light (as many wrongly assume). Paul writes, "to those who are defiled and unbelieving, nothing is pure, but both their mind and their conscience are defiled." Instead, it is Christ the Light sown as a seed in the conscience that brings man to any knowledge of truth and, when obeyed, to the salvation of the soul. Furthermore, there have been many sad misunderstandings and false conclusions derived from the Quakers use of the term "universal" in reference to this gift of light. The word universal was used by them to establish an intentional contrast with the prevalent idea of the time that God offers the saving knowledge of Christ to only a small, predestined few. The Quakers rejected the idea of individual predestination, and insisted that God offers life to all mankind through a measure of His light or grace that witnesses in the heart against sin, and invites the soul to find salvation in Christ. It is this gracious, inward invitation that is universal. When received, followed, and obeyed, this light becomes the life and salvation of the soul. When rejected, the same light becomes man's eternal condemnation. See John 3:19-21. Early Quakers were not at all proponents of universal reconciliation. There were several accepted customs in the mid 1600's to which early Friends could not conform. The common dress of the day was very flamboyant, with an excess of useless lace, ribbons, flashy buttons, powdered wigs, etc. The normal greetings between peers involved scraping the right foot backwards along the ground, bowing low while removing the hat, and then flattering one another with titles like "your Lordship," "your Eminency," etc. Early friends felt that these and other like customs tended towards vanity, pride, and the "fleshly honor which God would lay in the dust," and so would not practice these things. Moreover, at this time in history, the correct and plain use of "thee" and "thou" to a single person was beginning to give way to "you" and "your." Most modern English speakers are unaware that the words "you" and "your" were originally plural pronouns used only to address two or more people, whereas "thee" and "thou" were used to address one person. In the 1600's, it became fashionable (again, as a means of showing honor or flattery) to use the plural "you" or "your" in addressing people of higher social status, while "thee" and "thou" were reserved for servants, children, or people of lower social or economic position. Early Friends stuck to what was then considered "plain language" (using thee and thou to every single person, and you and your to two or more), rather than showing preferment by addressing certain individuals in the plural. These may seem like small matters to the 21st century reader, but it is remarkable how many thousands of Friends were insulted, beaten, imprisoned, and even hanged for refusing to conform to these outward customs that serve no purpose besides flattering the fleshly man. Both from their own personal experience, and from many lamentable occurrences in church history, early Quakers understood well the propensity of uncrucified flesh to seek to lead, govern, and teach in things pertaining to the worship and service of God. The natural man is extremely quick to run into doctrines, opinions, practices, and traditions, employing his own carnal wisdom and ability in an attempt to build the church of God. Friends saw clearly that this creates a false Christianity that stands in the will and nature of fallen man, and which (like King Saul) seeks to offer the Lord the best of what He has already rejected and condemned. Quakers were therefore extremely careful and intentional about waiting on the Lord in the silence of their flesh, and feeling after His life-giving Spirit, before they attempted to pray, preach, worship, encourage, or admonish in their meeting together. In the words of Robert Barclay, "When assembled, the great work of one and all ought to be to wait upon God, and, in turning away from their own thoughts and imaginations, to feel the Lord's presence and know the 'gathering into his Name' where He is 'in the midst' according to his promise. And as every one is gathered in this way, and met together inwardly in their spirits as well as outwardly in their bodies, there the secret power and virtue of life is known to refresh the soul, and the pure motions and breathings of God's Spirit are felt to arise. And from the Spirit, words of declaration, prayers, or praises arise, and the acceptable worship is known which both edifies the Church and is well-pleasing to God. In this way, no man limits the Spirit of God, nor brings forth his own contrived and gathered stuff, but everyone brings forth only what the Lord puts into their hearts, which is spoken not in man's will and wisdom but 'in the evidence and demonstration of the Spirit and of Power.'" It is important to clarify that silence was never a goal of Quaker meetings. The silencing of the forward, fleshy mind, and the humble turning of the heart to the Lord, was rather a means to an end, and a way to guard against the wisdom and religion of man while they waited for the pure and powerful influences of God's Spirit to feed and govern His own spiritual body. Early Quakers are sometimes known for their teaching that believers can become “perfect” even on this side of the grave. The word perfect is one that can invite a lot of misinterpretation and imagination, and so it is important to understand exactly what they believed in this regard. First of all, this perfection has nothing to do with fixing or changing the fallen fleshly nature. The nature of Adam is not repaired; it is experientially crucified through the inward cross, the power of God, so that the soul becomes progressively free from the law of sin and death, and governed by the law of the Spirit of life in Christ Jesus. Therefore, the progress and perfection of the soul arises from the birth and growth of the Seed of Christ within, and its victory (by degrees) over the body of death. Early Friends believed (and many experienced) that the heart could be united and subjected to the living Truth in such a way so as not to obey the suggestions and temptations of the evil one, to cease from actual sinning, and in this sense be perfect. However, they were always very careful to insist on the following two points: 1) that this kind of perfection always allows for continued spiritual growth. As Christ Himself is boundless and eternal, so our growth in Him knows no limits or restrictions. And 2) that there always remains the possibility of sinning wherever the heart and mind does not diligently and watchfully attend to the Lord. Jesus said to His disciples, “You will be hated by all for My name's sake,” and “If the world hates you, you know that it hated Me before you.” The world's hatred towards disciples of Christ is rarely experienced today, in part because of the prevalence of a cross-less, flesh-friendly gospel. It is uncommon (at least in the western world) for believers in Jesus Christ to suffer for the enjoyment of a clear conscience before God. This, however, was not the case when the Lord raised up the original Society of Friends. The first Quakers were despised, persecuted, slandered, beaten, imprisoned, and killed, both by magistracy and by the Christian sects of their time (Protestant and Catholic). Early Friends lived at a time when very little liberty was granted to citizens to believe and worship as they saw fit. The Church of England was run by the state, and multitudes of laws were made and enforced mandating certain beliefs, specific meeting places and forms of worship, and forbidding all others. Because of their refusal to conform to laws that violated their consciences in the sight of God, Quakers suffered cruel beatings and whippings, long imprisonments in cold, filthy prisons, cutting off of ears, banishment from their native country, and even death. Between the years 1650–1690, prisons in England were literally filled with Quakers who, for conscience sake, would not forgo meeting together to worship God in the way they believed He required of them. Nor did they feel free to attend other compulsory religious services, pay obligatory tithes to persecuting priests, or swear oaths of allegiance in disregard to Christ's command in Matthew 5:34—"Swear not at all...but let your 'Yes' be 'Yes,' and your 'No,' be 'No.'" Market Street Fellowship is not at all associated with any of the present day Quaker (Society of Friends) organizations or movements.